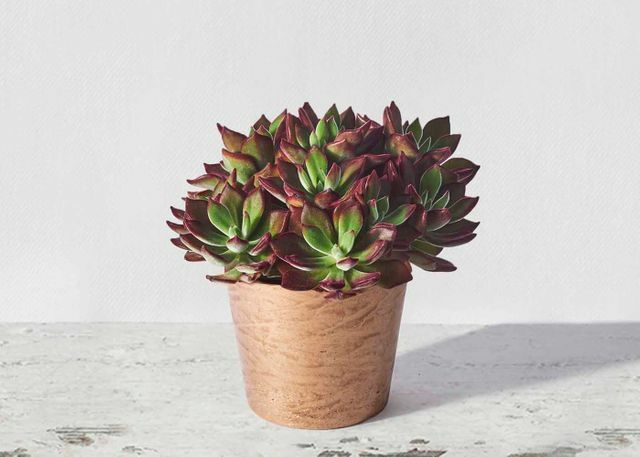 Placed in a chic copper vessel, these red-tinged succulents have a rich, velvety sheen to them. Their fuzzy silhouettes are soft to the touch and are easy to care for. Simply water it when the soil feels dry. 3"-5" Echeveria succulent in 5" x 6" ceramic copper-toned pot. Total height: 7"-9"